Encouragingly this growth is being supported by a myriad of applications. “It isn’t one big thing,” Burr-Lonnon observed. “It is lots of small things, a wide spread of applications, plus automotive which can make a difference in volumes. It could be the volume component distributors who feel the pinch more than the high service sector which targets design engineers buying a low volume, high mix set of products for a specific design project. 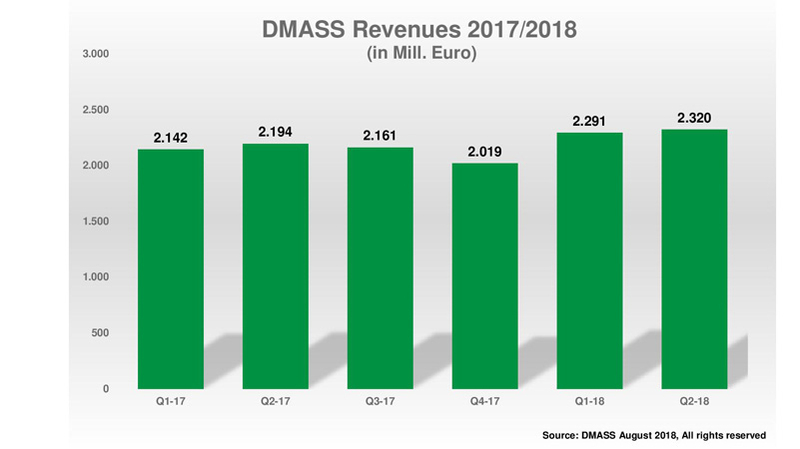 This would look to be the message as DMASS reported that the European semiconductor distribution industry growth was solid, but slow in the second quarter of 2018. Despite, or because of, severe allocation issues in many key technologies and products, the market, grew 5.7% in Q2/2018, to 2.32bn Euro. Andy King, President of Arrow Electronics, acknowledged that his company had a fairly constrained supply situation on MLCC. The growth in Europe is being propelled by the low cost manufacturing regions or countries, with the exception of Austria and Benelux. While UK and France grew around the average, Italy ended shy of double-digit. After a solid Q1, Germany only grew less than two percent in Q2. Nordic countries on average grew by 8.1% while Eastern Europe steamed ahead with 14.4% plus. In numbers, Germany posted 671m Euro sales, Italy by 9.2% to 224m Euro, UK by 6.9% to 166.9m Euro, France by 5.4% to 161m Euro, Nordic by 8.1% to 200m Euro and Eastern Europe (w/o Russia) by 14.4% to 386m Euro. Product-wise, the surprising strength of commodities were the highlights of Q2. Discretes, Power Discretes and Sensors grew in double digits, so did some programmable Memory technologies, Standard Logic, MPUs and High-end-MCUs. At a product group level, Discretes grew by 20.2% to 138m Euro, Power Discretes surged 16.4% to 245m Euro, Opto edged up 3.8% to 223m Euro. Analogue ICs grew 3.2% to 679m Euro, Memories rose 5.5% to 194m Euro and MOS Micro progressed 6.4% to 479m Euro. Programmable Logic declined by 3.4% to 150 Million Euro and Other Logic by 4.3% to 115 Million Euro. “Incredibly busy,” is Nigel Watts’ take on the market. “It’s bizarre, the market is absolutely flying,” says the managing director of sales, marketing and design support company, Ismosys. He instances an array of sensor applications which are spanning body, biometrics, medical, and wearables.